Chef Tatiana Rosana of Outlook Kitchen and Bar and Lookout Rooftop and Bar. 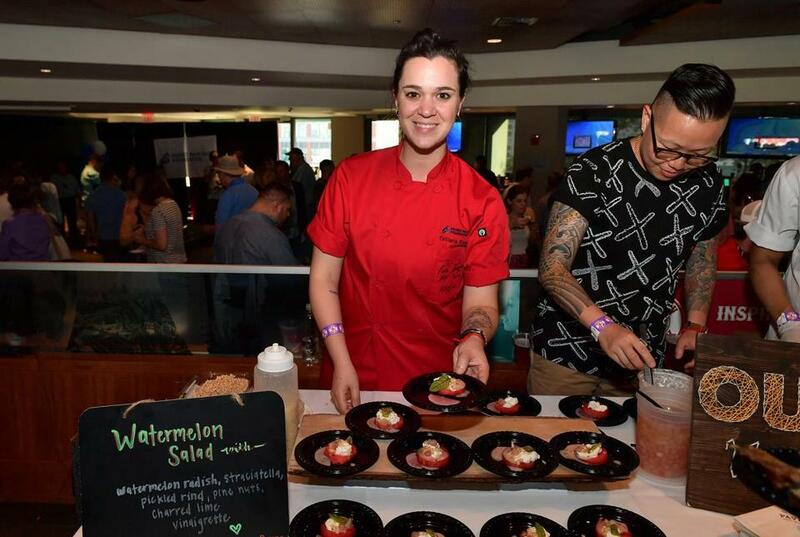 Boston chef Tatiana Rosana will soon take her culinary talents to the small screen. The executive chef at Outlook Kitchen and Bar and Lookout Rooftop and Bar at the Seaport’s Envoy Hotel will compete on an upcoming episode of Food Network’s “Chopped” on Sept. 11. The episode, titled “Under the Cuban Sun,” will feature four chefs — all of whom have personal connections to Cuba — as they tackle ingredient baskets filled with Cuban foods, according to the Food Network. A graduate of Le Cordon Bleu College of Culinary Arts, Rosana will bring her French culinary training and her Cuban heritage to the table as she chops, sizzles, and slices her way through the competition. The ingredient baskets are infamous for the unusual and sometimes “impossible” foods they contain, and this episode will be no exception — chefs may need to butcher a whole fish for an appetizer and incorporate a jarred version of a popular Cuban sauce in an entree, according to the Food Network. “Under the Cuban Sun” will air at 9 p.m. on the Food Network. A full schedule is available at foodnetwork.com. Kaya Williams can be reached at kaya.noelle.williams@globe.com. Follow her on Twitter @Kaya_Noelle.